The product itself is not so small, but lightweight, very easy to use! This review is about item#21532726. Rotation speed is also appropriate, you can polish by just hitting "Chung, Chung" on the chip. Because it is small and lightweight, I do not feel tired even if I do it for a long time. It is a gem that I recommend! ! ! . We are very happy with the feeling that weight and rotation speed are just right. 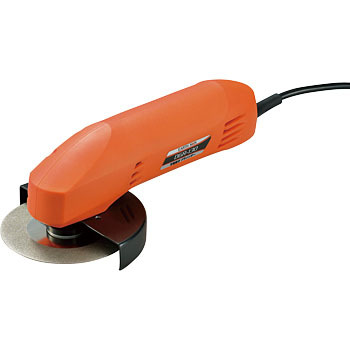 Until now I have bought blade saw blades with weeds in the fields for a while, purchasing a blade of chipsaw each time, but this time I purchased a blade sharpening grinder, because the rotation speed of the grinder is slow, the blade sharpen It is cheap and economical. As an improvement point, since the grip is slippery, I think that it would be good if the rubber was wrapped around the grip part. Used on grinding chip grinding machine to use. Even if you can use it, the price was reasonable product. If you want it, the sound is a little big.